At Universal Oil, we have a state of the art blending facility where we manufacture quality and reliable industrial lubricants. If we can't match up a difficult metalworking product that we stock, or if you want one product and less of another, we will blend to your specifications. Universal Oil offers 24/7 island fueling for on/off road diesel and regular unleaded. No matter what time of the day it is, you can always get premium fuel at Universal Oil. Our commitment to our customers is a 48-hour delivery guarantee on in stock or blended products. 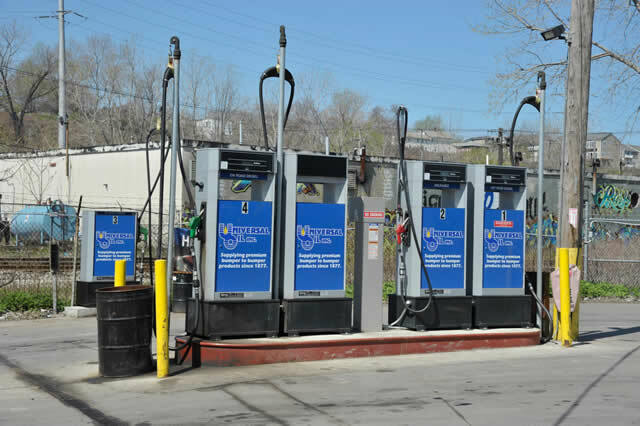 As a long-time or first-time customer of Universal Oil, we hope to meet your needs with prompt service. With our United States Coast Guard approved drivers and equipment, we can fill any vessel 24/7. With nearly 139 years in business, Universal Oil, has a strategic plan in place once the vessel arrives to minimize downtime. We are also proud to supply fuel to many of your favorite marinas around town. Universal Oil provides full-time service technicians to maintain or repair our equipment in the field. If you believe our equipment is not performing up to the highest standards, we will dispatch a technician for seamless repair or a complete swap out. Our main goal at Universal Oil is for our customers to maximize efficiency. We actively send our trained professionals to do a thorough plant survey, gather data and review customer concerns to save you time and money. Are you using proper industrial lubricants? What does each OEM call for? Are you properly doing an oil analysis? Could we upgrade your lubricant to extend drains?